BEST of HOUZZ: RANKED #1 in Clearwater and Belleair Custom Home Builder and Luxury Home Remodeling. Earning 5 STAR REVIEWS from our clients, your neighbors, for over 14 years, since 2004. Dream Coast Builders builds custom homes and remodels luxury homes in Clearwater and Belleair, and is honored to be ranked #1 in Clearwater by Houzz. There are 3 reasons why. 1-Process 2-Team 3-Execution Our Process: Dream Coast Builders understands that you want your own special place that reflects your style and taste. So, we use a trademark process, “The 5 Simple Steps.” ™ It allows you to describe what you want, the design team draws it, you approve it, and Dream Coast Builders builds it. By following our process, you will love the final results. Our Team: Dream Coast Builders assembles a team for each project, based on trust, in collaboration with architects, and interior designers. We use top sub-contractors and suppliers for each project to guarantee the highest quality building standards and a 5-Star client experience. Execution: Our clients expect the best and refuse to take unknown risks to cut costs. Close attention is paid to the requirements of time, budget, taste, and craftsmanship. Years of experience means increased expertise and capacity to integrate state of the art systems, value engineering, as well as practical solutions to unique and common design challenges. The first step is to schedule a complimentary idea session to discuss your project. Free estimates are always included. Dream Coast Builders invites you to join their exclusive client community by calling (727) 308-0865 or by contacting Gregg Gallagher at Gregg@DreamCoastBuilders.com. At GEORGE LAI CONSTRUCTION, INC. we have been DESIGNING and BUILDING CUSTOM HOMES for over 40 years. We offer Personal Custom Conceptual Designs with Engineer Approval, Auto CAD Drawings, Permit Processing and Quality Construction. Nelson Construction & Renovations, Inc.
TriplePoint Design Build is proud to be awarded Best of Houzz 2019 Design & Service awards! 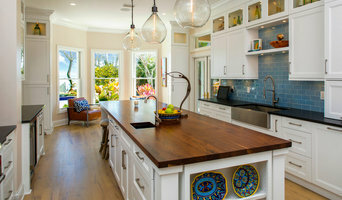 For more then 30 years of building excellence and with over 125 industry awards, we have earned a reputation as Tampa Bay's premier waterfront design/ build remodeling and new home construction company. Every project is tailored to meet our client's needs, wants and wishes. Our projects combine fully functional floor plans with creative design features and concepts that enhance your unique lifestyle. TriplePoint is led by Neal Fiske, who has a dual degree in both architecture and engineering, and is a FEMA Compliance expert. We are a service based company that provides a comprehensive, Design/Pre-Construction process that addresses all of the critical factors that are required to properly prepare your project for construction. TriplePoint’s award winning construction expertise offers an extensive selection of design styles combined with quality craftsmanship and superior craftsmanship. Our design build approach establishes a single point of accountability throughout the project life cycle. The approach integrates the main elements of the remodeling process that include design, budget, scope of work, selections and construction management. If you are looking to build/remodel your dream home, give us a call at (727) 888-6873 or click the "Contact Me" button to send us a message. We look forward to working with you! *2016 SEBC AURORA AWARD WINNER* Since 1952, the Campagna name on any home brings unmistakable value. Over the years we are proud to have won many “Best of Show” awards for Kitchens and Master Suites and “Over All Best of Show” for our homes. Today, Michael and Tim Campagna carry on the family tradition of building excellent homes, custom tailored to the lifestyle of their clients. Under management’s strict supervision, the area’s finest and most reputable craftsmen, many of whom have been with them for more than a decade, transform the architectural plans into reality. Since we are a Custom Builder, we look forward to the opportunity to be an integral part of your dreams. We will customize one of our desirable plans or build your plans, by your designer or architect. Either way, we are sure you will enjoy the experience of building with us and be pleasantly surprised by our Standard Features, Affordability, and Quality. $850,000 - $5,000,000+ NEW CONSTRUCTION: To achieve results similar to those seen in our portfolio, your "hard costs" construction budget (labor and materials) would realistically need to be starting in the $225+ per square foot range for the finished building, exclusive of furniture and soft costs (plans and permits). REMODEL & ROOM ADDITIONS: We specialize & focus on large scale home remodel & addition projects. Based on results similar to our portfolio; minimum remodel/ addition budget would start at $150,000. If you are looking to build your next luxury dream home, give us a call today at (727) 939-5053 or click the "Contact Me" button to send us a message. We look forward to working with you! Founded in 2011 by award-winning home building experts Mike Bartoletta and Scott Kirchner, both formerly with the highly-respected Hannah Bartoletta Homes, Taralon Homes strongly adheres to the belief that value, design, style and service never go out of style. Whether you are a first time home buyer or one who has purchased or built multiple homes, you will experience unsurpassed, concierge service and quality throughout the entire home building process with Taralon Homes. Each Taralon home is uniquely and exceptionally designed and crafted using only the highest quality materials and most advanced construction methods. When it comes to building the home of your dreams, there is no room for compromise. Builder providing Luxury, Architect-designed one of a kind custom homes and high-end remodeling. A leader in Energy-Star and beyond "green" construction techniques. For more than 25 years, Jeffery M. Wolf General Contractor, Inc. has been building and remodeling luxury homes in the Tampa Bay area. Our mission is to provide clients with excellent construction services that include superior and lasting quality of craftsmanship, accurate information during the construction process, informed recommendations on construction systems, and environmentally sound construction practices. We strive to be aware of the impact our activities on our environment and our resources, and to educate our clients to enable informed decision making about their use of resources. Give us a call or message today to learn how we can partner with you on your next project! We are well known for the difficult additions from second story additions to elevators. It goes without saying that anything you do to your home is special, so why not build up or out. We are the builders to see that idea become reality. A Fine Estate Home builder, with 25 years of experience, we focus our efforts on select projects, insuring that the finest details are expertly executed. We specialize in the creation of sophisticated luxury custom home projects in the Tampa Bay area that are truly exquisite and inspiring. Our pledge is to exceed total client satisfaction through coordinated and consistent communication between the design team, craftsmen, and the client. We have a well earned reputation for Attention to Detail, First-Class Workmanship and our Uncompromising Commitment to exceeding our clients desires and dreams. Please contact Veranda Homes today and find "Where Inspired Living Begins" We specialize in new home construction and design, as well as restoration and remodeling of Tampa's finest homes. Linda has over 20 years experience designing and building projects from 7,500 sq.ft. homes to front door replacements. Whether building a new home from scratch, adding a room, or remodeling your kitchen or bath, we have the experience and expertise to do the job. We are licensed and insured and all work is performed by trained craftsmen in strict compliance with Florida’s building code standards. We can also offer the highest quality custom cabinetry and furniture, or provide and install the “Crystal Cabinets” or the “Tru- Wood” lines of cabinets. As a small, family owned and operated business, we offer our customers personalized attention and service. You will always be dealing with the boss! We take all the stress and hassle away from you, our customer, by handling all the details, problem solving, and management of your project. Let us turn your vision into reality! At King Contracting, Inc. we take great pride in our management expertise and our superior craftsmanship. With over 25 years of experience in production management and product development and commitment to excellence, we have earned us the reputation as one of the best in the Tampa Bay area. Whatever your home project involves, we can help you get started and understand the process. Through our experience in the industry, we have the skills and passion for understanding customers' wants and needs and matching those to available products and services. We always put our clients' needs first and ensure that everything goes well from start to completion. Call us today! Alvarez Homes has been building high quality, luxury, custom homes throughout the Tampa Bay area since 1983. Custom home builders, Alvarez Homes has earned numerous awards for their innovation and excellence in home design and construction. Let Alvarez Homes build your dream home. Classic Builders is an award-winning full-service residential construction firm specializing in building and designing one-of-a-kind custom homes in the Tampa Bay area. Our mission as a custom homebuilder is to provide our Customers with a home that is a true reflection of their lifestyle along with peace of mind during the building process. We consider the process to be a collaboration of ideas and place a high priority on communication with our Customers. The Classic Builders Design/Build program begins with a clear focus on Customer goals, site considerations, and architecturally proper design. Our program includes a structured process insuring; cost savings, shorter build times, error-free project drawings, early knowledge of final cost and improved risk management. Our team is committed to designing & building the finest custom homes in the Tampa Bay area! Custom home builder specializing in homes built on your lot, on our lot, or on a lot we find for you. We are a full service Licensed Real Estate firm to. We also offer complete remodeling services. We build LEED Certified homes, Energy Star Certified Homes, and we are working on Net Zero Homes soon! No one offers a wider range of services while keeping a client focused experience. We do general construction. From minor repairs to whole home renovations, Sinkhole restorations and new custom homes. Our specialties are kitchens and bathroom remodels. Yeti Construction, Inc. is a family owned, multigenerational construction company with over a half-century of experience, collectively. For East Lake residential home builders who also act as developers, the job starts well before the first nail is driven. They perform local market research to determine whether the prospective homesites make sense in the East Lake, FL market, as well as survey the land on which the house will be built to make sure it is suitable for construction. Custom builders also obtain the necessary permits. A good custom home builder in East Lake, FL has skills that go far beyond construction — he or she must supervise subcontractors and artisans; keep tabs on local zoning regulations, building codes and other legalities; inspect work for problems along the way; and perform dozens of other roles that are essential in building a quality house. Here are some related professionals and vendors to complement the work of home builders: Interior Designers & Decorators, Landscape Architects & Landscape Designers, Architects & Building Designers, Kitchen & Bath Designers, Specialty Contractors. House builders are responsible for ensuring that the home-building project sticks as closely as possible to the specified timetable, particularly in the event of change orders. 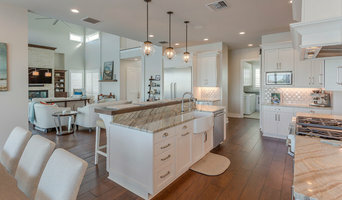 Custom and luxury home builders in East Lake, FL also need interpersonal skills to deal with clients of all types, soothe frazzled nerves, negotiate conflicts and resolve problems. Find custom home builders in East Lake, FL on Houzz. 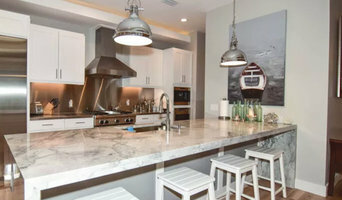 Narrow your search in the Professionals section of the website to East Lake, FL home builders. You can also look through East Lake, FL photos to find a house you like, then contact the builder who worked on it.